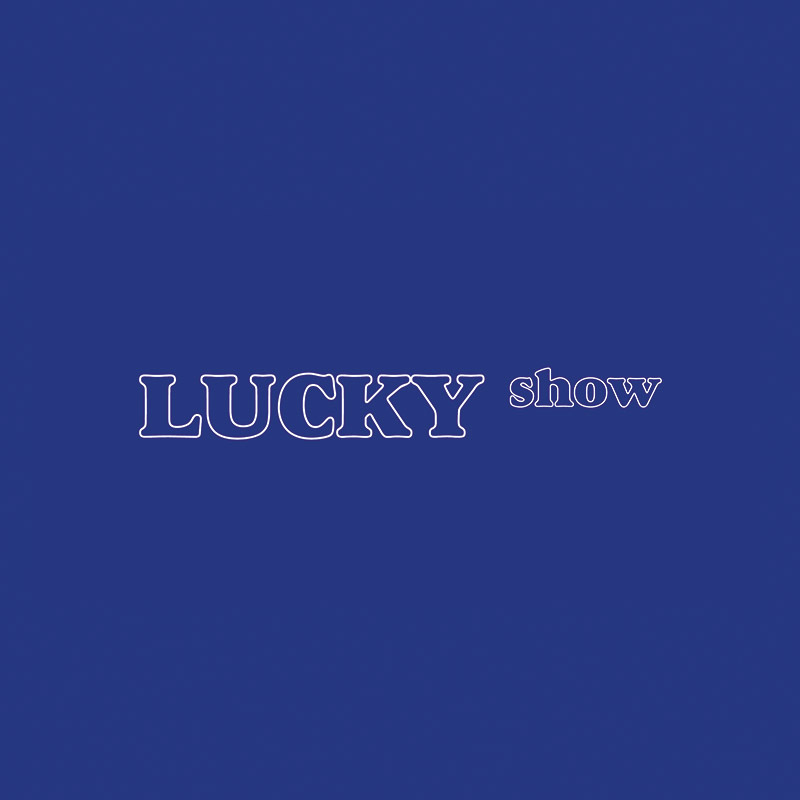 LUCKY show is a self-conceived, 3-person, 7-day, experimental solo-collective presentation that seeks to invent possible artistic relations within an alternative paradigm. The title of the show makes a literal and tongue-in-cheek reference to the site of the showcase, a 120-sq ft shop space in Lucky Plaza. Here, three artists have less than 24 hours to present their artworks in turns, culminating in an informal gathering of artworks. LUCKY show is an attempt to explore 'possible universes' in the field of exhibition making. Specifically, it engages with the wherewithal to create and the act of troubleshooting within a given space. Here, the show loosely models the urban condition of the alternative as typified through unconventional non white cube spaces. The three artists will work with a range of media and sculptural forms, conceptualising artworks that feature an exploration of different practices, yet are uniform in their response to the site as contingent and generative. Nhawfal Juma'at (b. 1991) graduated with a Bachelor of Fine Arts (Hons) at Nanyang Academy of Fine Arts in 2016 and is highly influenced by the aspects of his environment involving temporary installations and text-based work. Selected exhibitions include, Proposals for Waterloo (2017) as part of NOISE Art Mentorship Showcase with guidance by OH! Open House and Undescribed #2 (2017) at DECK. Nhawfal was also a finalist for the 7th France + Singapore Photographic Art Awards (2017). Nhawfal also organised the alternative group exhibition, RUANG (2017) which took place at a vacant shophouse. He is a member of the Association of Artists of Various Resources (Angkatan Pelukis Aneka Daya or APAD). Zulkhairi Zulkiflee (b. 1991) is a visual artist, educator and exhibition-maker based in Singapore. His practice explores the notion of Malayness in relation to knowledge production, the social agency and distinction/ taste. Zulkhairi has exhibited in group exhibitions such as the CICA Contemporary Photography Exhibition Summer (2017) at CICA Museum, South Korea, and the Young Talent Programme (2017) by the Affordable Art Fair Singapore and ION Art. His art zine, Pisau & Timun (Knife & Cucumber), has also been acquired by the School of the Art Institute of Chicago (SAIC), catalogued under the Joan Flasch Artists' Book Collection and shown at The New York Art Book Fair (NYABF) 2016, MoMA PS1, New York. Zulkhairi has organised alternative group exhibitions like RAID (2018), RUANG (2017) and Dancing on the Spot (2016), tapping on off-kilter locations like an air raid shelter, a vacant shophouse, and a metalworking building. He graduated from both Nanyang Academy of Fine Arts (NAFA) and National Institute of Education (NIE) under the fully funded Art Teacher Training Scheme. SYAHEEDAH ISKANDAR graduated with a Bachelor of Arts (Honours) in Arts Management from LASALLE College of the Arts (conferred by Goldsmiths, University of London). She is currently Curatorial Assistant, Outreach & Education at NTU Centre for Contemporary Art Singapore. Prior she was Curatorial Assistant for Exhibitions. Her recent curatorial projects include "ROOTS" (2012), "Bring it to LIFE" (2015) at The Lab under NTU CCA Singapore, and "If Home was a word for Illusion" (2016). She was also a participant in the Curator's Workshop 'What is Southeast Asia?' organised by Japan Foundation in Kuala Lumpur, Malaysia (2015), and the Gwangju Biennale International Curator Course, South Korea (2016). She presents her alter ego as a DJ on some nights, is part of Phyla Digital, an independent music label and ATTAGIRL! an all female collective she co-founded, both based in Singapore.